The wild yam, a root also known as Dioscorea villosa, hide interesting medicinal properties, especially for feminine intimate health. So, as a curiosity, it should be noted that wild yam was obtained years the substance that created the first birth control pill. Among others, wild yam is attributed to effects anti-inflammatory, antispasmodic and antirheumatic, as well as the ability to help control the hormonal changes. It is also considered a protector of the liver. Let’s look more closely, what wild yam is and how can it help us to improve health. The decoction of wild yam can be used as a natural remedy to relieve ovarian pain during menstruation. Under medical supervision, this root can also be used to facilitate delivery. Another argument to consider this plant is a good ally of women’s health. It helps relieve hot flashes and other discomforts of menopause such as vaginal dryness. In this case, it is recommended to take an infusion prepared to equal parts of yams and black cohosh. 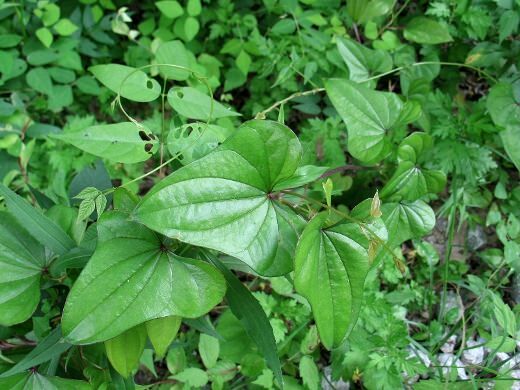 Thanks to its anti-inflammatory and antispasmodic effect, both infusion and tincture of wild yam help relieve the discomfort of arthritis and osteoarthritis, disorders directly related to bones and joints. It helps reduce inflammation of the joints, reduces pain and improves mobility. As a remedy for gastritis and gastric ulcer, the wild yam takes in infusion (it can be sweetened with a little honey). In this case, it is to take advantage of its content in allantoin, a natural healing. Yams can also be a good remedy to relieve the pain of biliary colic and to reduce inflammation of the gallbladder. The dose recommended of this plant (for adults) is one teaspoon per cup of water. You can take in infusion up to 3 times per day. In tincture, take half teaspoon diluted in water twice a day. As for contraindications, avoid wild yam during pregnancy and lactation.